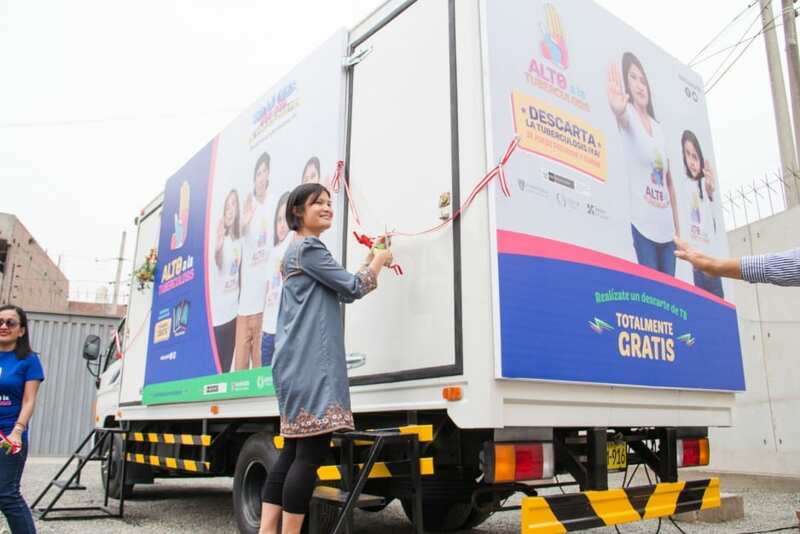 The imminent launch of two vans equipped with state-of-the-art technology to test for tuberculosis (TB) and multidrug-resistant tuberculosis (MDR-TB) marks a major milestone for PIH’s and Peru’s fight against TB, the leading infectious killer of adults in the world. Within coming weeks, these trucks will enable PIH to carry out a new screening program called TB Móvil, which will search for, diagnose, and refer TB and MDR-TB cases in the three northernmost districts of Peru’s capital, Lima. TB Móvil is one of various strategies that comprise a new ‘TB Elimination’ campaign, led by a coalition of PIH and partner organizations in northern Lima, which aims to rapidly drive down TB rates. It is the first time PIH is launching such a campaign. The TB Móvil component focuses on bringing testing closer to where people live, in order to search for and promptly treat TB and MDR-TB. The goal in 2019 is for the vans to drive through northern Lima and offer 100,000 people a free, fast way to be tested for the disease and gain access to treatment. Once inside the truck, volunteers will receive a chest X-ray and—if necessary—a sputum test, the results of which are delivered in mere minutes thanks to advanced automated radiography and GeneXpert machines—two technologies that would otherwise be unavailable to poor patients. A clinician will evaluate the results and, if they test positive for TB, connect them to public health centers for a quick start to lifesaving treatment. By actively searching for patients and bringing rapid testing, PIH, community organizations, and Peru’s Ministry of Health will ensure that more TB and MDR-TB patients receive early treatment. In so doing, we will halt the spread of the disease and save more lives, now and into the future. Donate today and together we can tackle diseases others have deemed untreatable in resource-poor settings. Read more about how PIH is fighting poverty and tacking the social determinants of health, providing agricultual support to families in Rwanda to help them tackle food insecurity and generate an income.